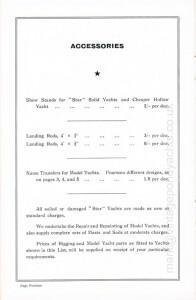 The Star Yacht factory in Birkenhead, England manufactured model sailing boats for a period of nearly 70 years, their yachts were successfully exported all over the world and yet, in spite of this, nowadays there seems to be very little information available identifying the broad spectrum of their products and how they had evolved over the years. 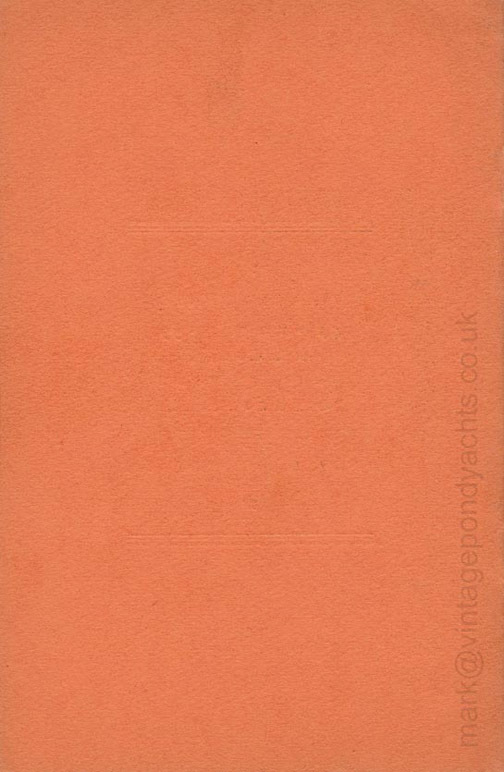 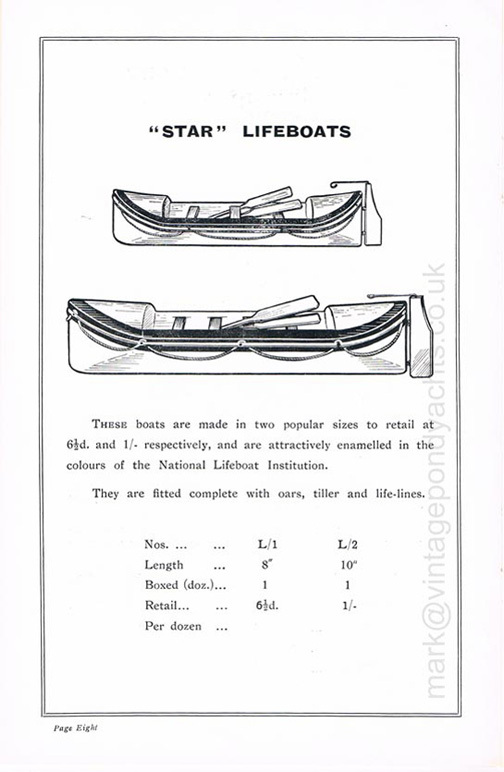 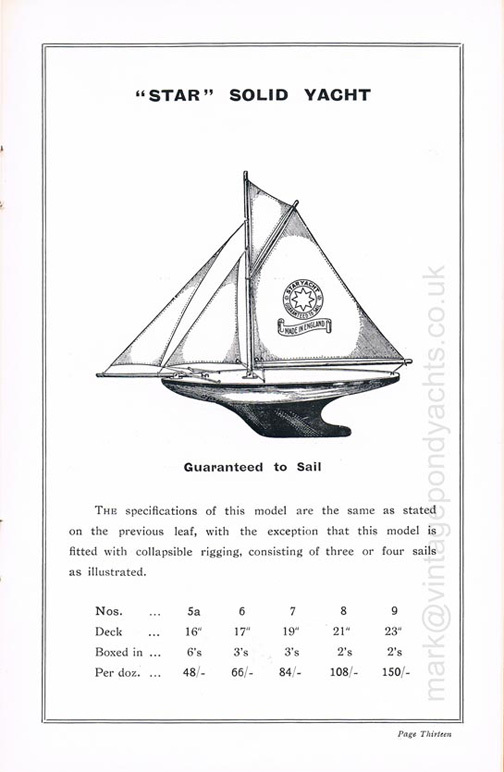 From what I can gather the catalogues that were produced, depicting the full range of yachts in line drawings, were primarily intended for the trade with products listed in carton quantities and reference given to trade-terms, etc. 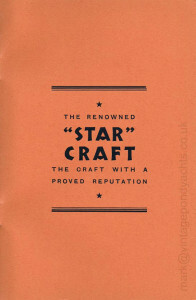 so it is, perhaps, for this reason that so few have survived and that details of the companies products are so sketchy. 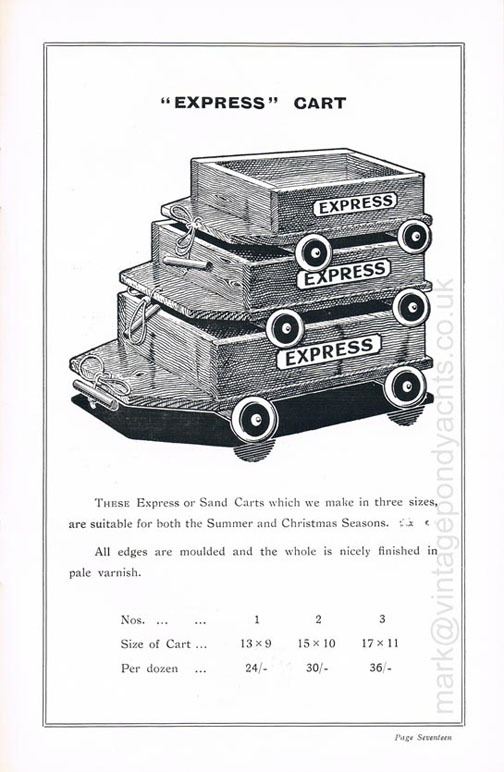 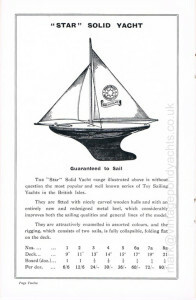 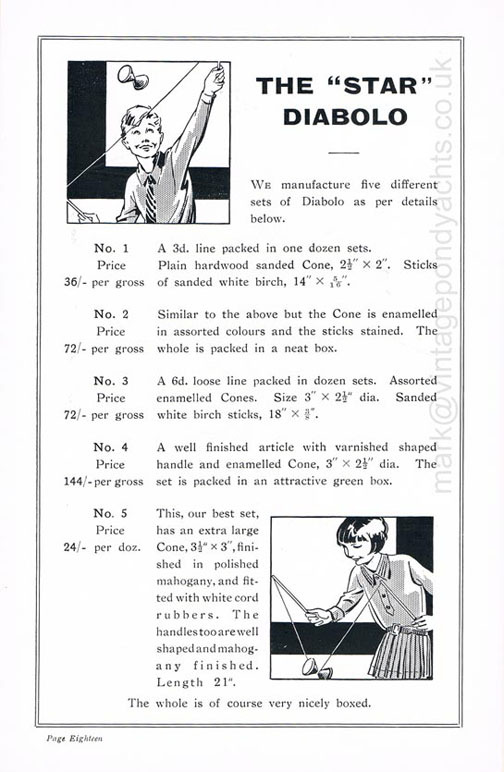 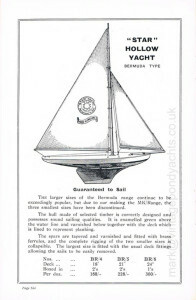 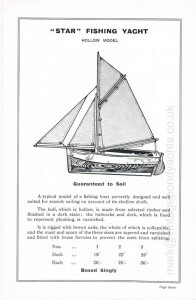 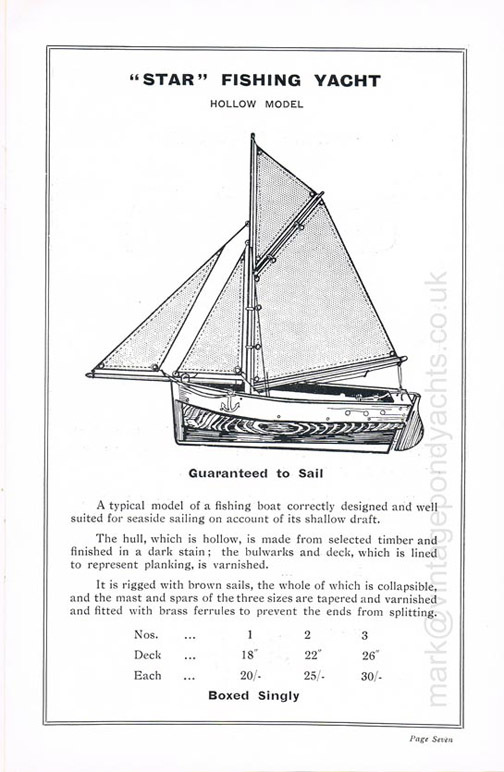 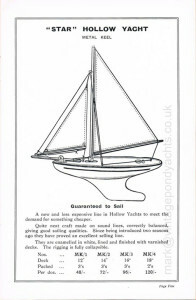 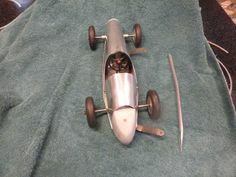 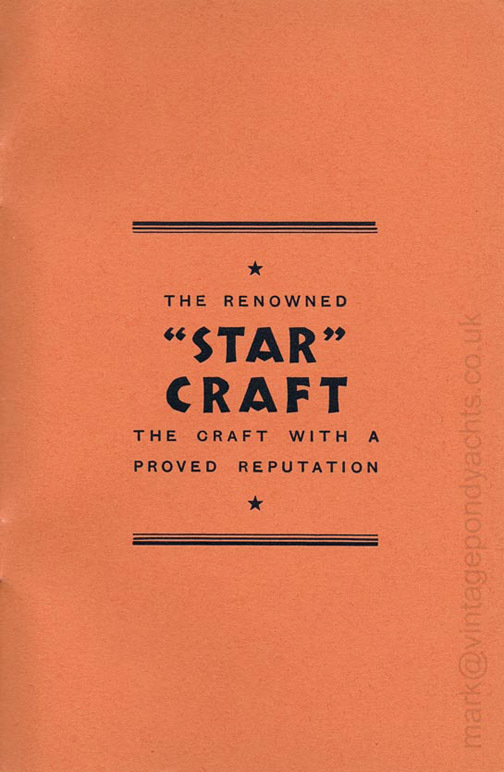 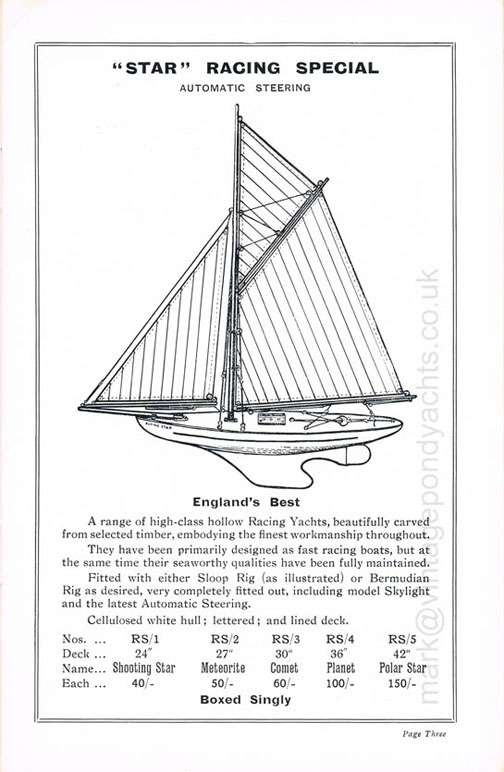 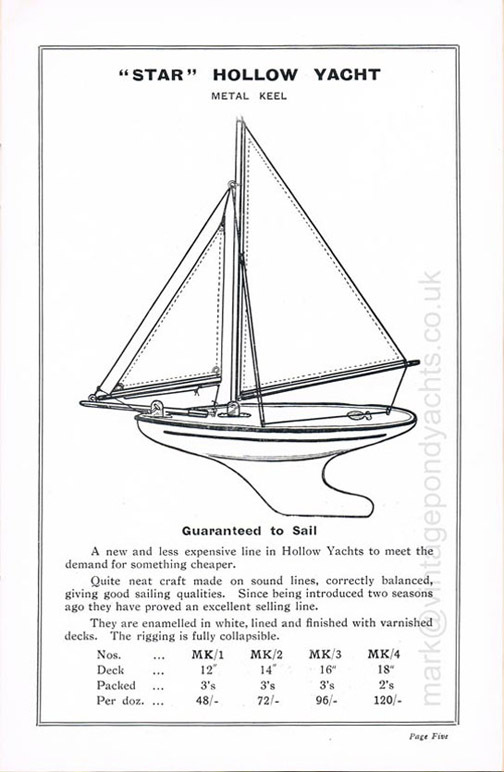 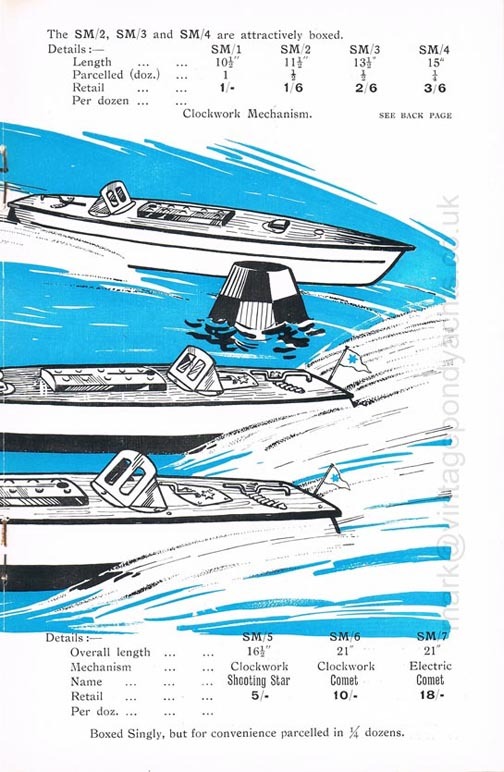 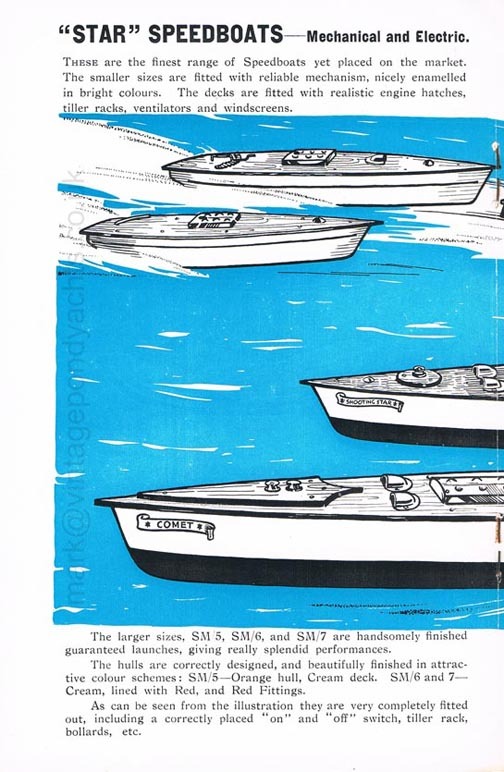 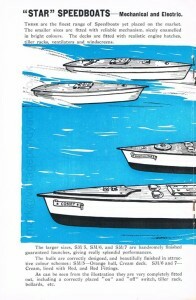 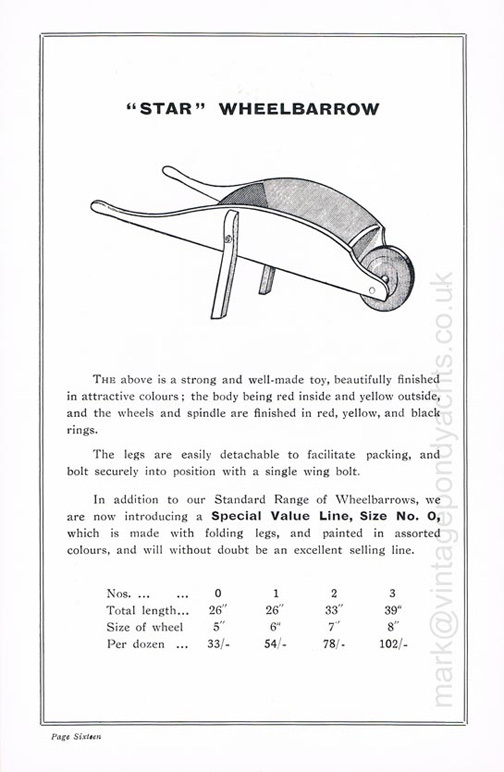 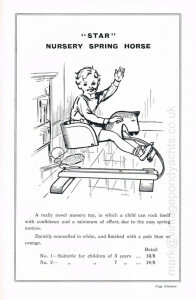 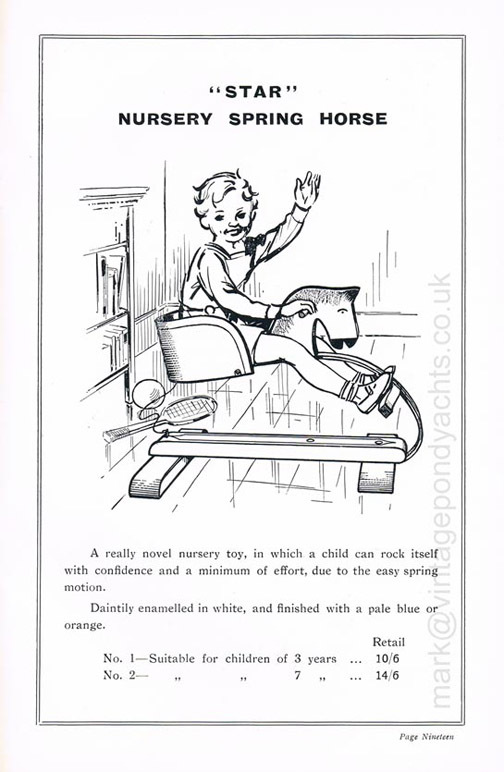 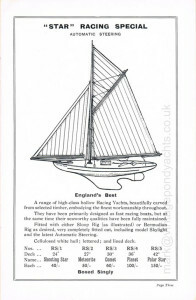 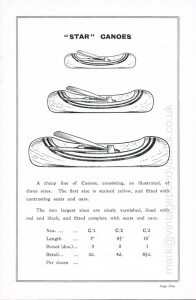 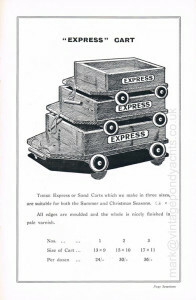 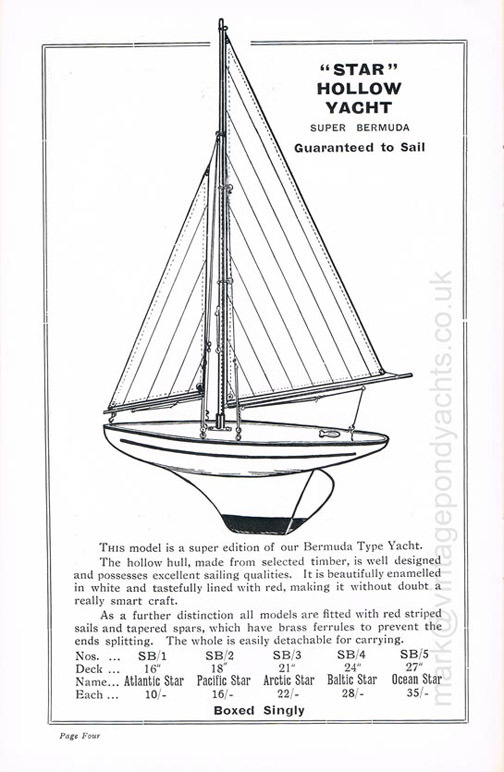 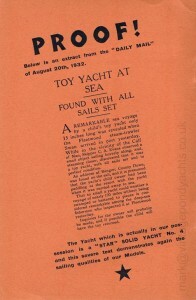 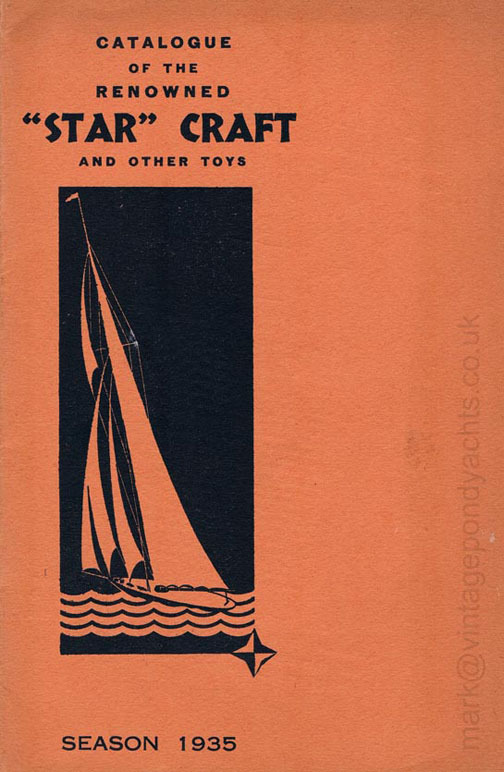 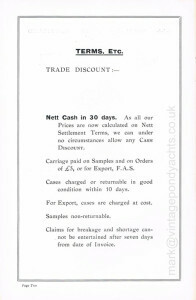 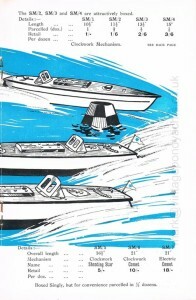 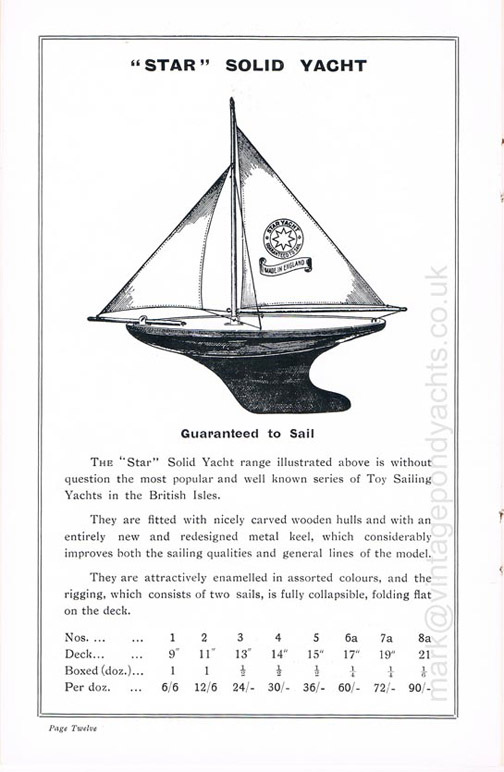 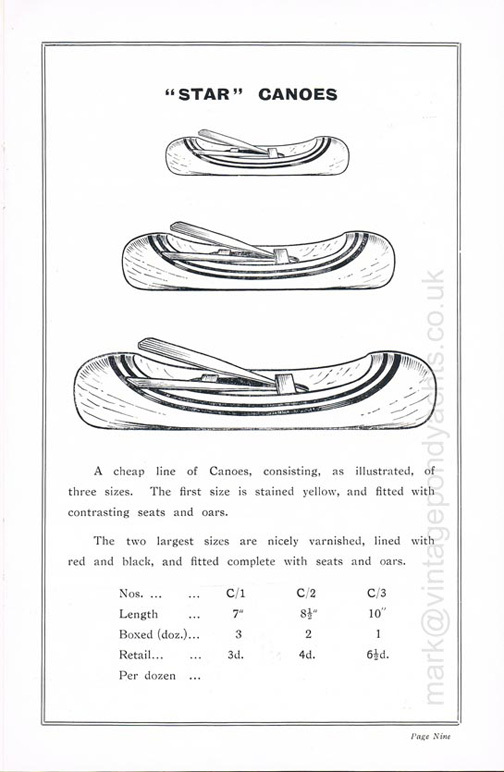 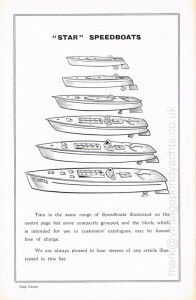 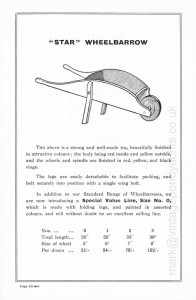 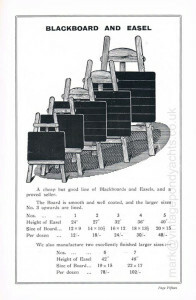 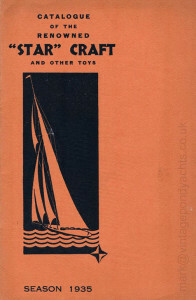 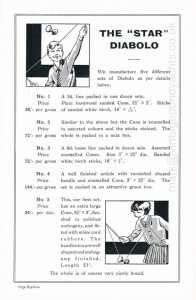 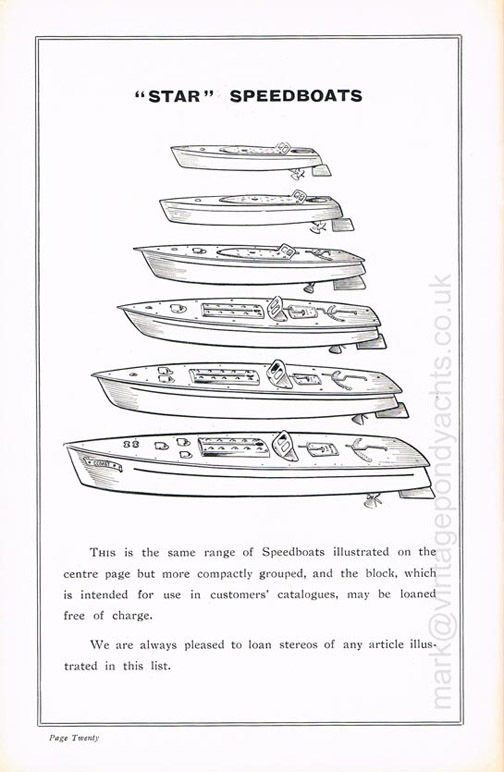 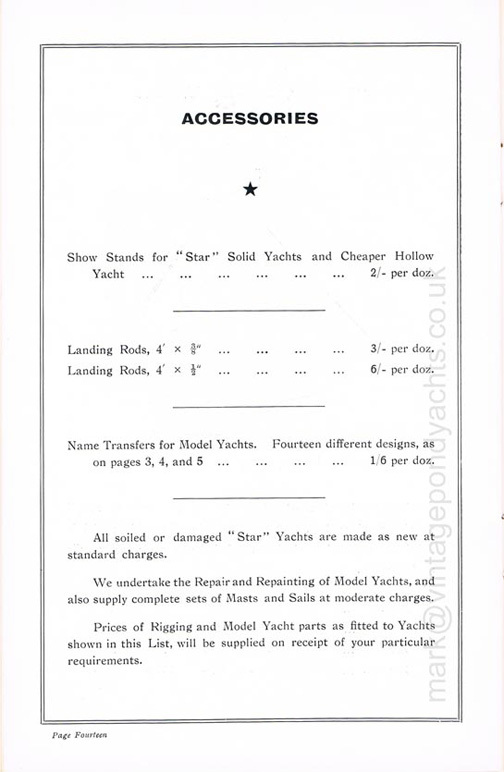 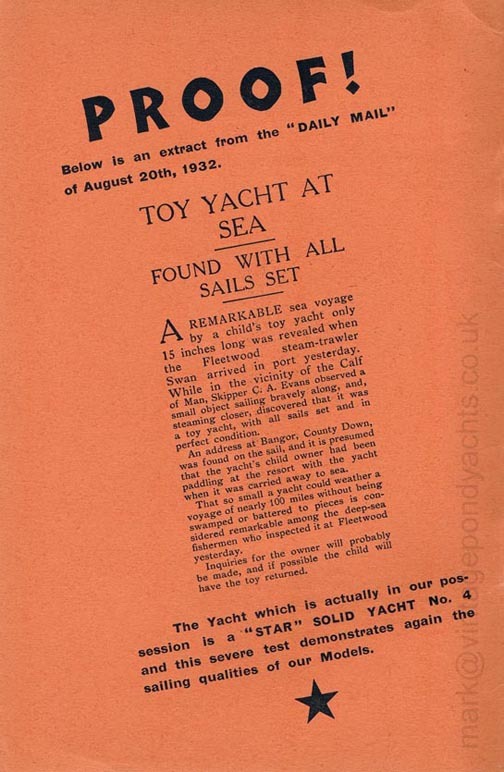 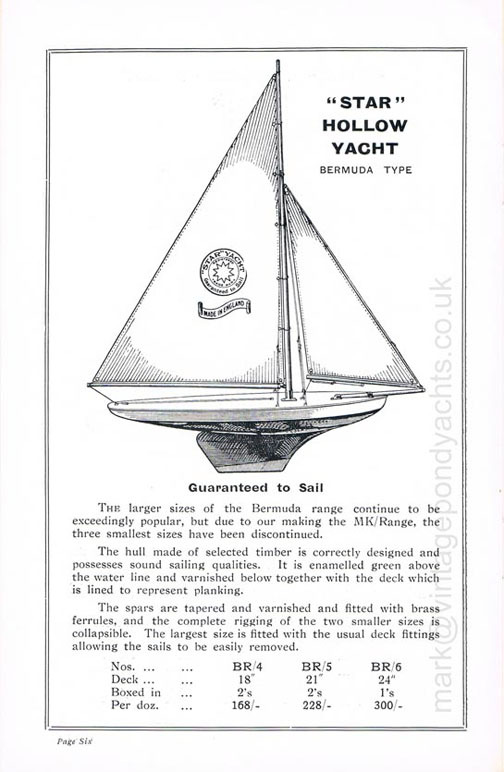 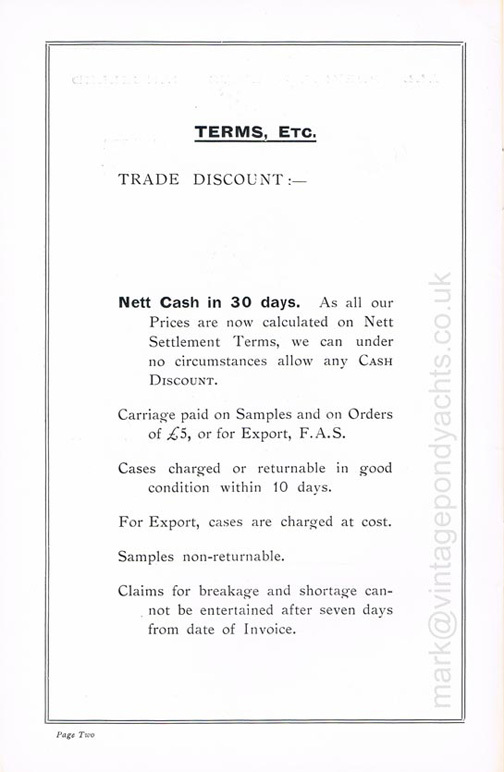 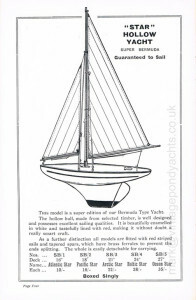 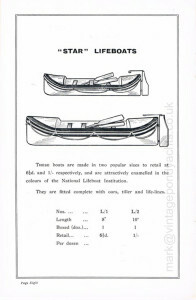 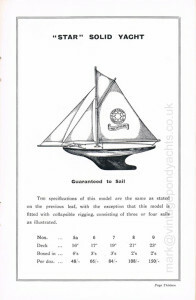 I have been fortunate to be able to scan a number of early catalogues that chart not only the development of Star’s core product, model yachts, but also the vast range of other associated toys that were produced in order that the business avoided the peaks and troughs of such seasonal sales. 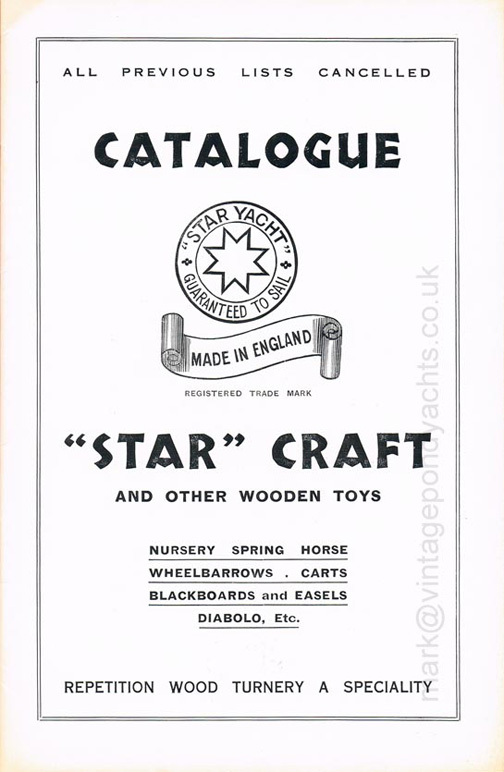 I will be adding further catalogues and information over time. 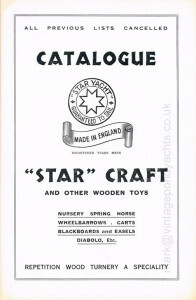 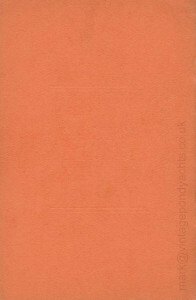 The following pages are scans from an original 1935 Star catalogue and each can be viewed by clicking on it.